If you are reading this, then I am guessing that you MUST be a business owner or someone from the marketing department. You have heard about the power of video marketing and how it is the future of marketing and so on and so forth. In fact, we say it here ourselves. It is a fact that video marketing is the next big thing in the marketing space, but I understand that you have doubts. Who wouldn’t? Why should YOU, a seasoned veteran of the business world, invest in this new way of marketing, when the old one works just fine. But let me ask you this, is ‘fine’ level of marketing good enough for your brand? You know as well as I do that marketing needs to evolve with the times, and the time now is ripe for video marketing. But you have your own set of queries and doubts, and you have been wanting to ask someone some direct questions. I know exactly what people mean when they say that. And, to be honest, this is the first question we get from all of our clients. We do understand that you, as a brand, are not opposed to investing in new marketing methods like Video, but you are unsure of how you’ll get the most bang for your buck. We get it completely because, until late last year, even we were struggling to find the exact metrics that will let us standardize the ROI for our clients, for the work that we do for them. I know that you need numbers and metrics so that you can justify the high-budget spending, that they’ll have to do in the name of online video marketing, to yourself or even to your senior management. To help you with this, we have created an estimated ROI formula that will help you in measuring all types of financial and analytical scenarios. Let’s take a quick look at the tools that’ll help us measure the analytics part of our video campaigns. Google analytics is a tool created by Google that helps you measure your website’s traffic and lets you study the incoming data. It is your ONE stop solution for everything that’s related to your website’s analytics. It doesn’t give you answers based on every specific user, but overall it is a powerful tool that shows collaborative data of your website. 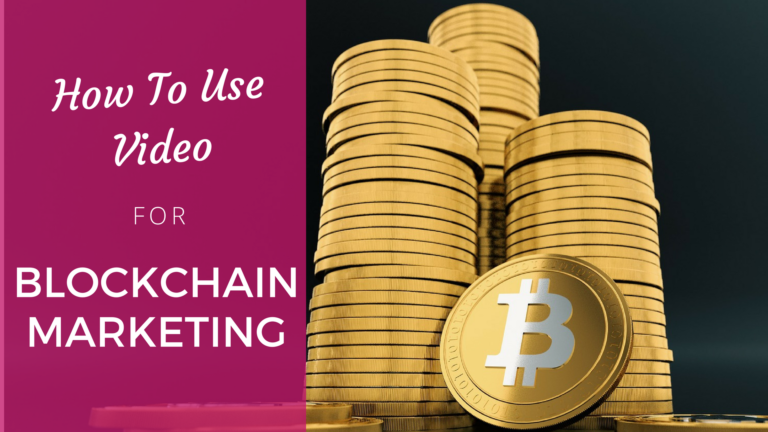 When you are running a video marketing campaign, it is important that you have a tool that helps you measure the performance and activity of your video. There are a lot of platforms like Vidyard and Wistia which can do the job for you, but if you do some research, there are other tools like Youtube and Vimeo which can also do a good job in this case. You could also try tools like Vidooly, Hubspot, Optimizely &Infusionsoft to attach more advanced levels of analytics and suit plugins so you can get a data-rich report for your videos. A unique view is a number that tells you how many unique people have seen your video. It tells us about the reach of the video. For example, let’s assume you are searching a video about a certain topic; you are more likely to click on a video which has 100,000 unique views than you will on a video with 30,000 uniques. Also, the more uniques you have, the more platform like Youtube and Vimeo will promote you, and push your videos to the top in front of their audience. Total views is a metric that you get when the number of uniques is added to the repeat viewers. It’s slightly different from unique views. CTR stands for click-through rate. It is the percentage of people who have gone on to take action after watching your video. Videos help in increasing CTRs faster than other forms of marketing, but that is only if it is done right. CTRs also depend on a host of other factors like persuasion, quality of the video, and other basics of video marketing. If implemented correctly they can help you increase the impact of your video. Average attention span is the average of the time duration that your audience has spent watching the video. If the average attention span of the video is high, you can automatically assume that the video is creating the right sort of impact on your target audience. It signifies how engaged your viewers are. In fact, tools like Vidooly and HubSpot will help you study this metric well. Social media metrics like comments, tweets, shares and likes usually highlight the performance of your video across different social media platforms. Measuring social metrics is of utmost importance these days because videos sharing is getting popular on all social media platforms. So, by analyzing comments, tweets, shares, and likes, you’ll get a feel for the engagement rate of your audience with your content. You’ll also have to compare how your video performed on each social media platform that it has been shared on. Brand searches is also a popular metric to gauge your campaigns’ success. The number of brand searches and incoming searches on social media platforms helps you understand the kind of impact your video has made on these social platforms. If there is an increase in the searches, then it tells you that the campaign that you have been executing has made the correct impact. And, of course, if you are getting more visibility online as a brand, then that means that your campaigns have been successful. If you are creating a video marketing campaign, it is advisable that you start with an end result in your mind. If the end result that you want is to get more leads, then you should be serious about it right from the start, because you’ll have to create your campaigns accordingly. Eventually, you are hoping to turn your leads into paying customers, right? So if you are capturing leads, it will be slightly easier for you as a brand to measure the success of your videos since you can now quantify the leads as a metric. The metric actually tells you the percentage of viewers that turned into final leads. 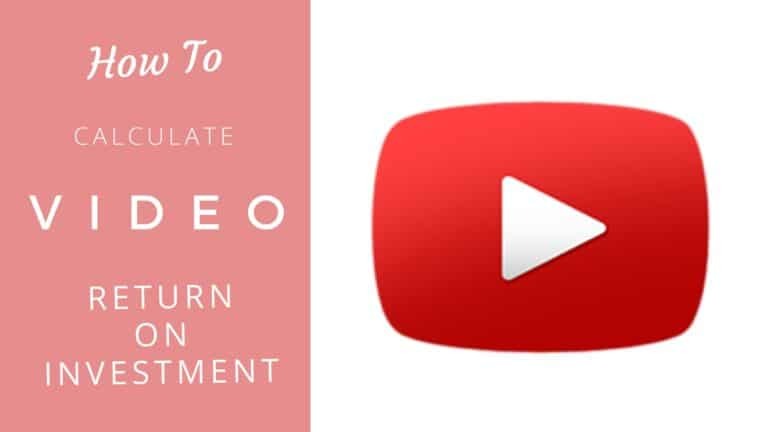 You can set up a specific landing page especially for this, or tweak something that is already running to match the traffic coming from the video. Landing pages can be tested with split testing to see where you are getting the best conversion rate from. I personally feel that the total revenue is a great metric of video marketing success, and it will help you measure the total impact of your video campaign on your overall revenue numbers. For example, if you are a business owner who has promoted only a certain line of product, then you can measure the impact of that activity on your total revenue line. You’ll also observe an increase in the sale of other products. These might not even be the products that you have promoted. This often happens when your viewers like your overall brand. If you are sending people to your website, they could also buy unrelated products that you have not promoted in your video marketing campaign. So measuring overall revenue is important to see the total impact of your promotion. It is different than total revenue. It directly measures the impact of the video campaign on sales of the product that you have promoted. Measuring the exact number of average sale is important. Generally what happens is that once you execute the campaign, the average sale number of products in your organization might go up. A well-executed video campaign has an impact on everything in the company and can increase the average ticket size of the sale. Average ticket size is also counted as an average sale. So, keep an eye on this metric to see how your average sale is being increased. 1. Measuring a couple of basic metrics like videos views, page views, CTRs, CTA & Split testing. These are some of the basic metrics that you can measure and use to figure out whether things are working for you or not. 2. Finding a correlation between views – leads – sales. One way to do that is to simply calculate the revenue boost once you have implemented the video marketing campaign. It is also necessary to check any changes or correlation in these 2 metrics. 3. Measuring the analytics of your social media handles and accounts. The more traffic you get on your social media profiles, the more traffic you can tweak for remarketing. If you are someone who is running a small business then picking a small and manageable number of metrics will be good for you. But there are certain exceptions to this rule. A lot of times, bigger organizations do small budget campaigns to test the validity and potential of the production house and then see what they can do with bigger budgets. 1. Defining a clear end objective and knowing what results you expect from it. If you can do this exercise, you’ll see that you’ll have a lot of data at hand to study with. Use advanced analytics tools to get data for your video. Compared these numbers with the goals that you have set for your campaign. You can mathematically measure how far you are from achieving your goal. 2. Benchmarking your metrics. Truly define what you are looking for. Are looking for more sales? More leads? More brand awareness? The more clarity you have at the benchmarking stage, the better it is going to be for you while measuring. 3. Ensuring that all your basic analytics and data measuring tools are properly implemented and are capturing data. Data like web views, page visits, unique views, CTAs, and other key metrics are good examples of this category. 4. Drawing a correlation between video and other metrics. For example, knowing the exact percentage of overall sales that were increased with your video campaign, the percentage of other products that have been sold as a direct impact of the current video campaign. You’ll have also had to factor in all types of costs while doing the math for calculating ROI. Amount invested marketing budget, promotion budget etc. This category is perfect for people who need to give a detailed analytics report to their reporting manager and help them make better budgets. This is for businesses that have more than 50 people employed in the same organization. If you are at an advanced level, where your monthly and yearly marketing budgets are clearly defined, then you should be looking at this type of calculation. 1. At this level, you should analyze your investment at each and every level. You’ll have to ensure that the budgets are carefully calculated and measured on a timely basis. You’ll also have to budget-in all the operational, executive and other types of costs (directly and indirectly) related to the campaign. 2. You should also understand the impact of your previous campaigns and learn from it. At this stage, you should also have things like “ customer acquisition costs “, “ lifetime value of a lead ” and other metrics related to a customer’s journey mapped out in a detailed manner because these metrics will be directly helpful in measuring the success of your video marketing campaign. 3. You should also run an industry-wide analysis to see how your competitors are using their video marketing campaigns. By keeping the competition’s performance as a benchmark, it’ll easier to measure and analyze the impact and effectiveness of your video. This method is good for people who are reporting to marketing heads and upper management. Since these people are directly responsible for issuing budgets and releasing cash for such experiments, it is important that your metrics make sense to these people. This approach is also helpful when you are improving your marketing metrics. If you have a team that is consistently developing video content, then by using these metrics you’ll be able to find out areas where you can improve. The REAL Math of measuring video ROI. Let’s get down to it now. Here are the formulas that you should be using for your calculations. 0.44 is selected because of a recent study which suggested that e-commerce companies that use video marketing experience an average of 144% increase in sales. We are multiplying with .05 because it is the gross product margin here. This calculates the number of training staff that are now non-essential as a direct result of doing the video exercise. This exercise is measured over a period of 5 years, then multiply it by 10% to get a video budget which will be good for investment. ROI = Total landing page traffic x (current conversion rate x 1.88) x Close rate x Average Ticket Size) / Video marketing budget. Statistically, it has been seen that a video on the landing page increases the conversion rate by 80%. So, we can measure the total landing page traffic, and multiply it by the increased conversion rate that we are hoping to achieve, after applying video marketing. This will be multiplied by the close rate (given by the sales team) and the average ticket size of the product. This way, you’ll be able to generate a fitting budget and generate an ROI that will make sense to you and your team. It would be great if you could invest 15% of your annual marketing budget in video marketing efforts. This way, you’ll attract inbound interest from a lot of recruits and the overall quality of your candidates will be really high. Ideally, you’ll see the results of your video marketing campaign when you invest 8- 10% of your annual marketing budget into overall marketing over a period of a couple of years. These are some of the ways to calculate video marketing ROI on your campaigns.